Indian Angel Network (IAN) has invested $1 million in embedded software tool developer Vayavya Labs, to pick an undisclosed minority stake in the company. This is IAN's 25th investment and will help Vayavya expand its toolset suite for electronic systems level design, R&D and business development. 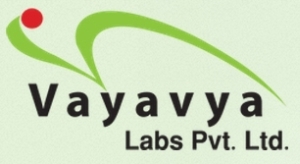 Vayavya Labs has established the first automated device driver tool that reduces the system development, validation and migration cycle times, and helps organisations make regular savings in cost and time. It focuses on providing integration services, design services and solutions around digital TV, IPTV and set-top box domains. "Vayavya tools play a pivotal role in adding value by cutting down development, testing and debugging time at customer-end, thereby meeting the goal for go-to-market," said Indian Angel Network member Sharad Sharma. "We are working together as investors and board members with Vayavya to scale up on the business side and focus on growing the customer base." "In Vayavya Labs, we found a differentiated business venture with a product that translates into savings for its customers. IAN is happy to play a role in this critical skill-starved area of the software industry," added Vivek Raghavan, another member of Indian Angel Network. Both Sharma and Raghavan will join the Vayavya board. The Indian Angel Network is the country's largest national network of business angels investing in start-ups and early-stage ventures with a unique incubator model. IAN today has an investor base of over 170 and it has seen several exits, with a recent one giving 5x over a 15-month period. IAN has reduced on the number of investments and has made around 4 to 5 investments this year. Incidentally, this is also IAN's first investment in an EDA company. Launched in 2006 by RK Patil (CEO), Venugopal Kolathur (CTO), Uma Bondada (VP, Engineering) and Parag Naik (who, along with RK Patil, also serves on the board), Vayavya Labs customers include companies like Trident, Synopsys, NDS and Electra Plc. The company has facilities in Belgaum and Bangalore, and it has on board around 70 professionals. "Vayavya Labs aims to build a valuable Indian company in the system design tools and services, and leverage the electronic design automation (EDA) space in the USA," said Patil. Vayavya Labs has already established alliances and industry partnership with ARM Connected Community, Cadence System Realisation Alliance and Microsoft.